"Oddor Meanchey is one of the highly visited tourist destinations of Cambodia. Some of the popular Tourist Attractions in Oddor Meanchey. The must visit places of interest in Oddor Meanchey are the Cultural Site of Khmer Rouge, also known as Tamu House, Border Check- Pint of Ou Smach, Pol Pot Cave and Tomb and Waterfall of Cham Pey. These cultural and historical landmarks enable you to get a feel of the inner soul of the country." 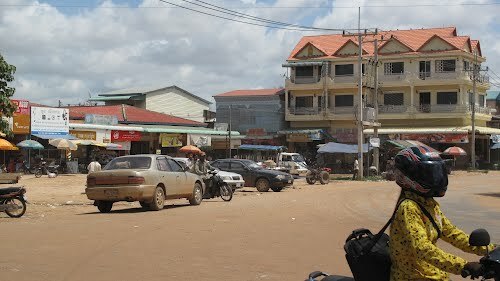 Oddar Meanchey is one of the smallest provinces of Cambodia. 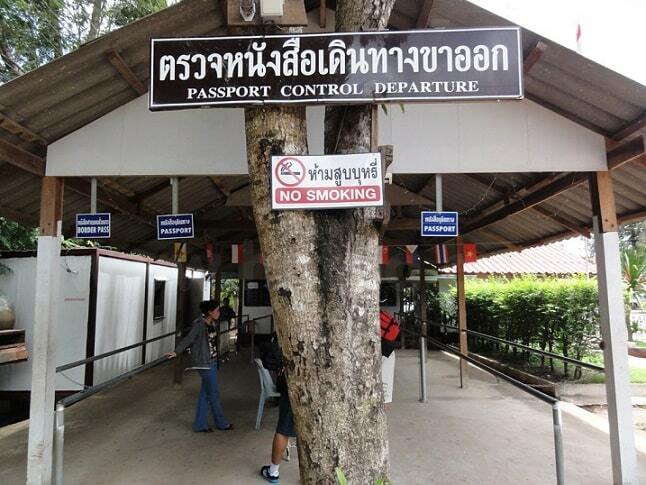 It's located in the far northwest, at the border with Thailand. Its name means "victory" and the provincial capital is called Samraong. The town is emerging very slowly from decades of isolation, a legacy of its frontline position in the long civil war. In the province of Oddar Meanchey are the Dangrek Mountains. There is a serious problem with the deforestation in this area. From 1795 -1907 Oddar Meanchey was part of his Siamese Province "Inside Cambodia". In 1907, after the death of King Sisowath, the province "Inside Cambodia" was split in Battambang and Siem Reap and Oddar Meanchey became a part of Siem Reap. From 1941-1946, the province was under Thai government known as the province "Phibunsongkram". At the end of the Second World War became Oddar Meanchey in 1946, after French diplomatic efforts, under Cambodian influence. The province belongs since 1966 officially to Cambodia. During the Cambodian Civil War, the remote area was used as the basis of the Khmer Rouge, when they fought against the Khmer Republic led by General Lon Nol. This very remote province is a notorious place, because this is the region where the diabolical Pol Pot and his bloodthirsty minions to the last persisted. They fought at that time against the Khmer Republic under command of Lon Nol. Pol Pot died mysteriously here, after an alleged power struggle within the Khmer Rouge. This took place in the center of power of the Khmer Rouge, in the village of Anlong Veng. Pol Pot died mysteriously after he was sentenced to house arrest and the international community started to make efforts to capture him. The border with Thailand is only 14.5 miles from Anlong Veng away. Along the road to Anlong Veng there are plenty of tanks and tank shells to see. Anyway, it's an interesting ride through the low-lying part of the Dangkrek Mountains. The road is pretty good. The capital Samraong located in an extremely remote part of the country. It is now trying to escape from the past, which tore the country apart. They say that there is little to see in Samraong and there are no good roads. But for someone with good taste for adventure this part of the country is a challenge. Most foreigners in Samraong to do development work. They try to do something to the poor living conditions and the abundance of unexploded ordnance in the area. Mines and unexploded ordnance injured more people in Samraong District than in any other district in Cambodia.The best time to visit Oddar Meanchey during the slightly cooler, dry season from November to March.